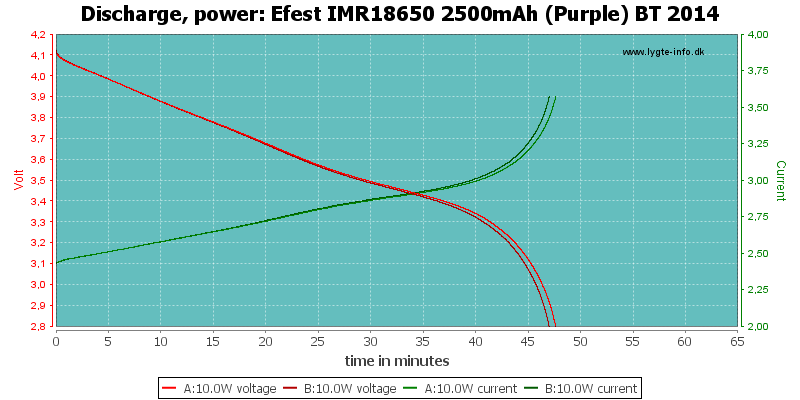 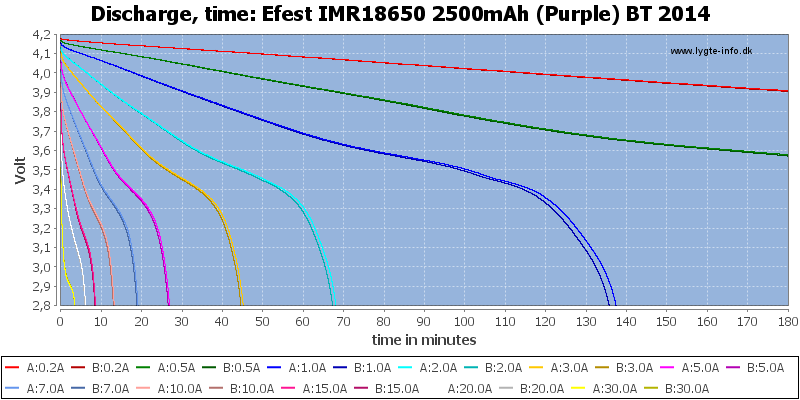 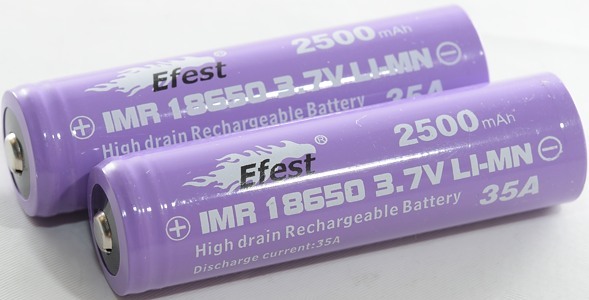 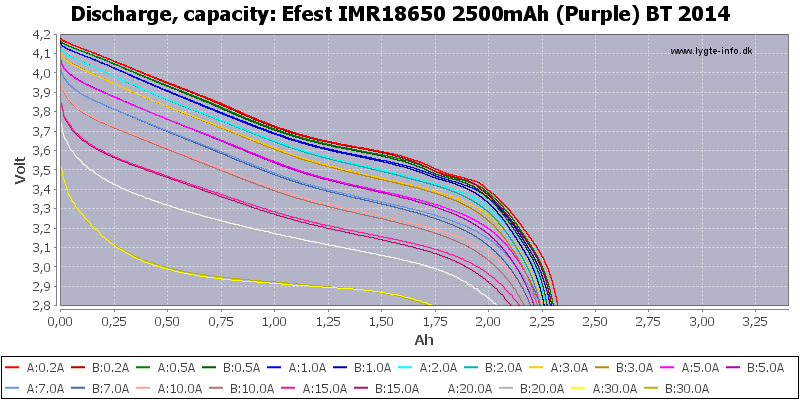 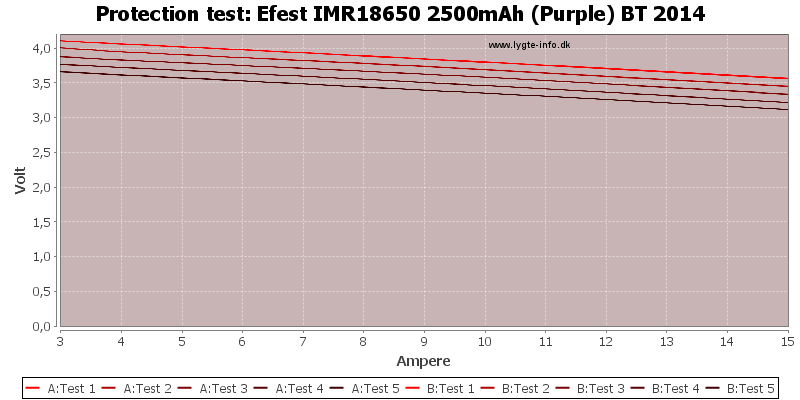 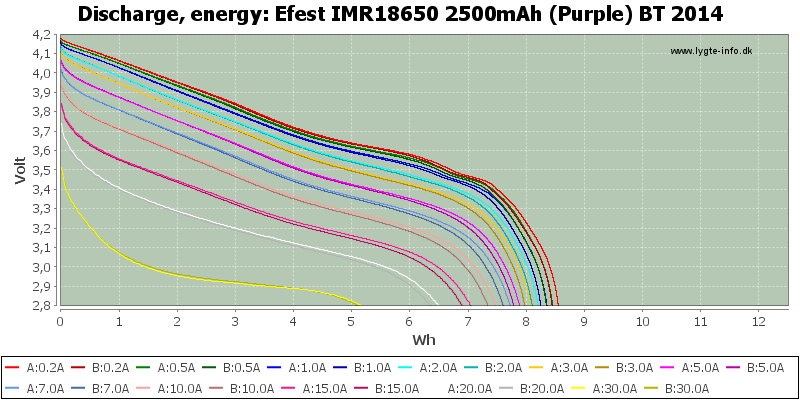 Efest high current 18650 in button top version, again with the optimistic 35A rating. These curves shows a very good battery, there is a good tracking between the batteries and not much capacity drop from 0.2A to 20A. 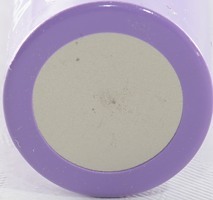 The button top will add a very small resistance and reduce the performance slightly at very high currents. 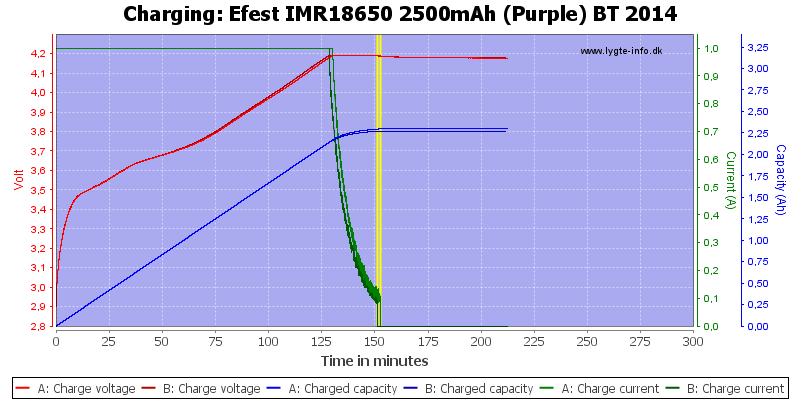 Usual a battery with unspecified cell will not get better rating than acceptable, but there is no doubt this is a very good cell that is used here.